Xiaomi and Samsung have a few different models in their robotic vacuum ranges. 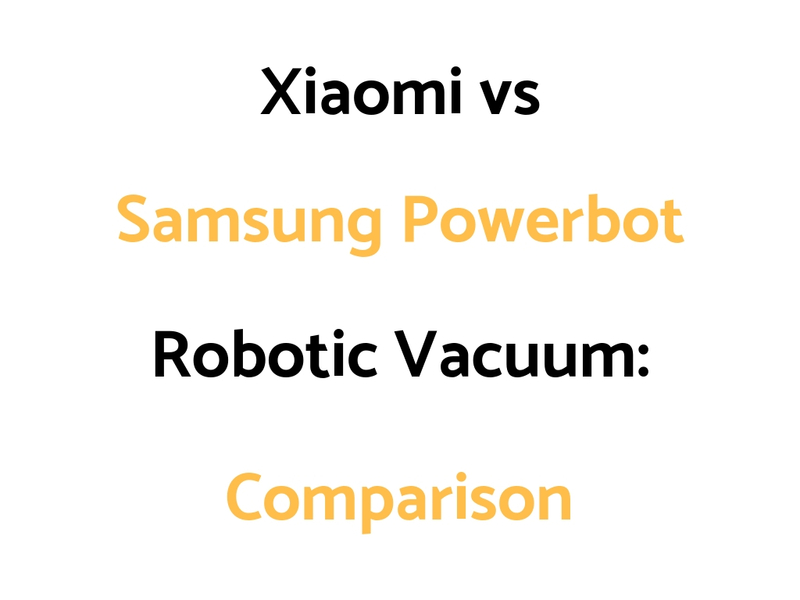 We’ve put together a Xiaomi vs Samsung Powerbot Comparison Guide outlining the differences and similarities of their most popular or latest models. The Samsung models are advanced robotic vacs that are smartphone controlled. Overall, we would look at other robotic vacuums first before these brands. For affordable vacs, the ECOVACS N79S and ILIFE robo vacs are good options. The iRobot Roomba 690, 890, and 960 and 980 models, as well as the Neato Connected Series (D3 through to D7) are good for higher priced high quality robo vacs. R9250 – 50x Power, Does have WiFi to work with Alexa, has point cleaning, has auto scheduling scheduling, has a combo brush, has a large dust container. R9350 – 70x Power, Does have WiFi to work with Alexa, has point cleaning, has auto scheduling scheduling, has a combo brush, has a large dust container.